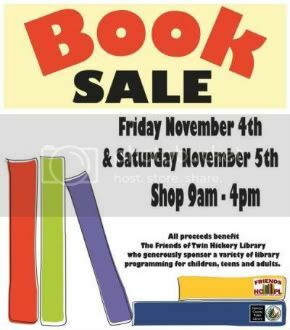 In addition to the RPL sale, Twin Hickory Library in Henrico will also be holding a book sale starting Friday, November 4, at 9am. The sale runs from 9am to 4pm on Friday and Saturday. Sales benefit the Friends of the Twin Hickory Area Library. For more information, call 290-9200 x5.